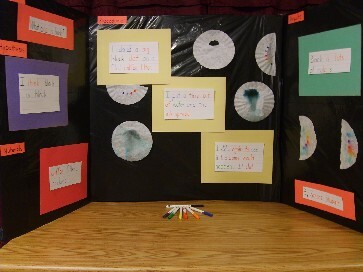 This science fair project information page is a must read. Because we crawl into the head of a normal, everyday science fair judge and find out what he/she is thinking about your project. Let's name this science fair judge Mr. Smith. Here is what Mr. Smith is thinking when he looks at your project. First, Mr. Smith will look at the originality and creativity of your project. He will look at your idea, the way you did it and how careful you were to prove your point and decide how original and creative they are. So it's your job to find that creative idea and approach before you get started. Be thinking now. Next, our Mr. Smith will determine whether or not you used the scientific method properly. This includes your hypothesis (guess), experiment, result and conclusion you drew. We discuss the scientific method in more detail on each grade-level experiment page. So make sure you read those carefully. There's a lot there. Read it anyway! Now, Mr. Smith moves to judging the quality of your work. If your project is disorganized and sloppy, he'll be quick to take points away! So be careful when you put your project together. Put thought, time and care into every part of it. And make it look nice. Then, Mr. Smith will decide how accurate your facts are. He's a sharp human being (so is Mrs. Smith, his wife, who just happens to be a judge too!) You won't be able to fool him. He can see right through faulty "facts" and wrong thinking. Make sure you know what you're doing. The accuracy of your research, tests and the conclusions you come to are important here! Now, Mr. Smith will determine what you've learned. Your report and research will need to answer all his questions about your subject. He wants to know if this has changed your ideas at all about your subject. So make sure you learn everything you can about the subject of your project before you start the actual project. Finally, Mr. Smith will look at the way you've displayed everything. Hard as it may seem (wink) he does notice the dead batteries and the visual display that won't stand on it's own. Your display is most important. If you need ideas about how to properly display your information, we've got all kinds of great ideas. If you need to order a great looking display board, click here. Once again. Make sure everything looks good. Do we need to quote the camera commercial again? Put thought into every part of your project. If you do, you will do really well at the science fair. We hope this science fair project information has been helpful. Don't forget to thank Mr. Smith! Done with science fair project information? Click here to go back. Have all the science fair project information you need? Want to find success in you're science fair? Click here!